The Trump administration is promising to give federal employees injured on the job fewer prescription opioids, noting the risk of substance abuse for that line of treatment. The Labor Department’s Division of Federal Employees’ Compensation instituted new rules that took effect this week, which will limit the duration of opioid prescriptions for incapacitated feds to 60 days. The office encouraged doctors to prescribe “the shortest duration of opioid medication that will provide appropriate pain relief,” and capped fills to 30 days at a time. 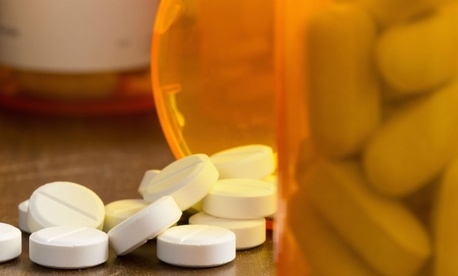 No more than two opioids may be prescribed at once, including in compounded medications. Those meds will now require a Letter of Medical Necessity before being prescribed. The rules will apply to employees enrolled in coverage through the Federal Employees Compensation Act, which pays medical expenses and compensation benefits to feds who sustain work-related injuries, or their survivors. In fiscal 2016, the program, which is administered by Labor, provided $3.2 billion in benefits to 219,000 employees and survivors. Starting in August, the FECA division will not authorize newly prescribed opioid drugs after the initial 60-day period without a special letter from a provider. Labor employees must personally review those letters before more opioids are dispensed. The department will soon issue further rules for existing prescriptions issued within the last six months. It also advised physicians to limit the daily dosage of the drugs. Ideally, the Labor division said, FECA recipients will avoid opioids altogether. “We strongly urge our claimants and their treating physicians to be mindful of safety concerns relating to opioid medications and to consider alternative drugs that do not pose the same risks for addiction, dependency and overdose,” the agency said. It conceded that opioid drugs “can provide necessary and safe pain relief to injured workers” when used appropriately, but noted the number of deaths from painkiller overdoses has skyrocketed in recent years. The Trump administration has focused on the opioid abuse issue, with the president in March signing an executive order creating a commission tasked with fighting the crisis.